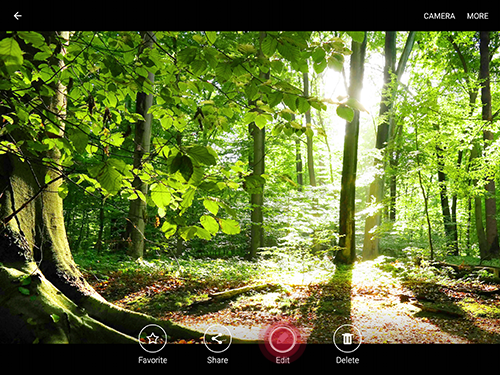 Photo Editor provides editing functions for photos you take with your device. Along with basic photo tuning like brightness, contrast, and color, it provides a wide variety of photo-editing effects. 1. From the Home screen, touch Apps > Gallery . 2. 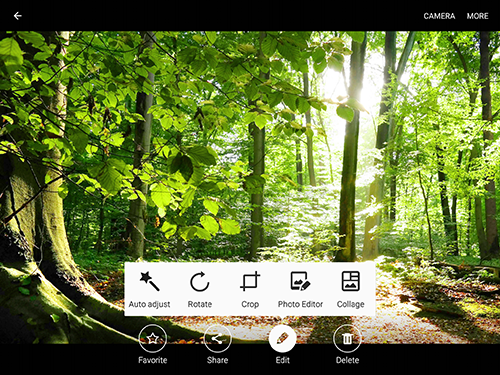 Touch a photo to edit. 3. Touch the image and touch Edit . • Rotate: Rotate the photo. • Crop: Select parts of the photo to trim. 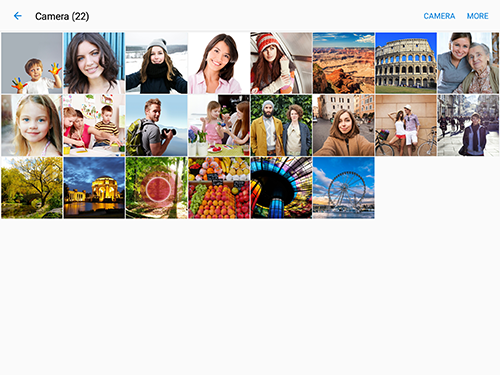 • Photo Editor: More photo editing options. ◦ Adjustment: Crop, rotate, flip, angle the photo. ◦ Tone: Add color enhancements to the photo. ◦ Effect: Add various stylize effects to the photo. ◦ Drawing: Draw on the photo using a wide range of pen settings. • Collage: Create a collage. 5. Touch SAVE at the top of the screen to save your changes. A new file will be created, and the original file will be left untouched.